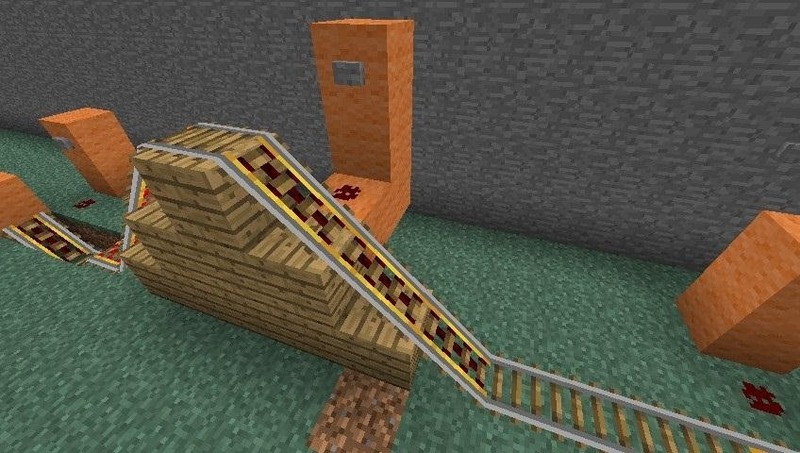 But with these minecart stations, that won't be a problem anymore! Your carts will wait for you, then take off with the push of a button! The block stop is exactly what it sounds like—the track ends into a block. Well, it is pretty simple. The problem is that if your cart isn't touching the block, it won't go when you press your button. The Block Stop is composed of a piece of powered rail leading directly into a block of any variety. 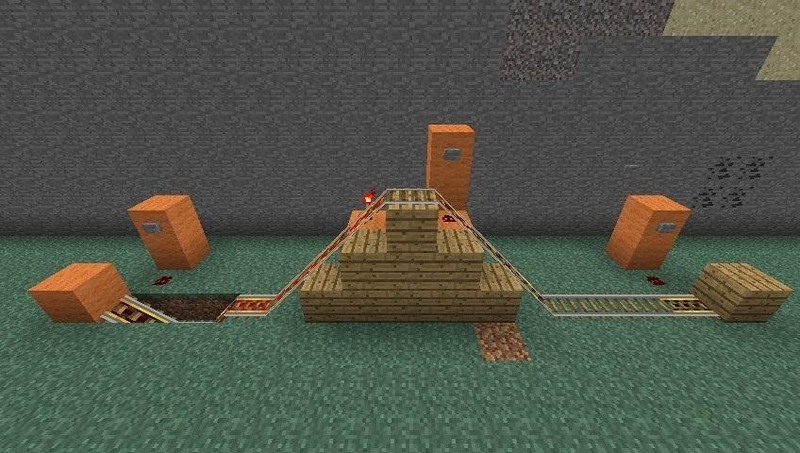 Then you attach a button to the powered rail (I'm a big fan of redstone wire followed by two blocks and a button, because it makes the buttons easy to press from the cart). When the button is pressed, the cart will go, but only if it's touching the block at the end of the rail. If not, it will sit there like a lame duck. So it's a simple, solid design, but it can suffer from user error and isn't the most reliable design. Additionally, it can only go in one direction. The Incline Stop is a variation of the Block Stop, except that because it's on a slant, it doesn't necessarily need the block at the top. I've included one in this picture, but it isn't required. 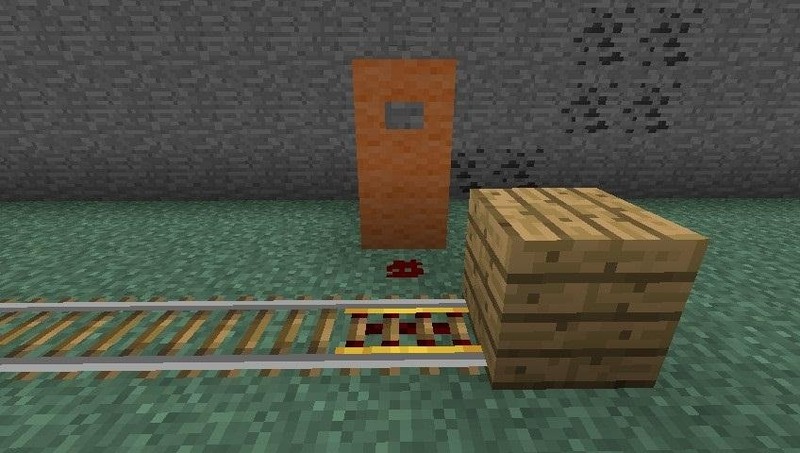 As you can see in the picture above, the Incline Stop is literally the exact same setup as the Block Stop, except that three blocks have been removed near the end. What this does is stops your cart on an incline, which means that when you press the button, you'll go in whichever direction you're tilted toward. In the meantime, the unpowered rail will hold your cart in its last position. The Incline Stop, much like the Block Stop, can only really accommodate a one-directional track. The Incline Waypoint isn't necessarily a stop, which is why it's called a waypoint. It can be approached from either direction and still remain effective due to its simplicity and ease of use. The Incline Waypoint is literally just a slanted section of track with some powered rail connected to a button. While it will only send a cart in the direction it's slanted in, the cart can approach from either the front or the rear, and it will be equally effective. This type of stop is great for tracks that loop, whereas the Incline and Block Stops are best for one-way tracks. 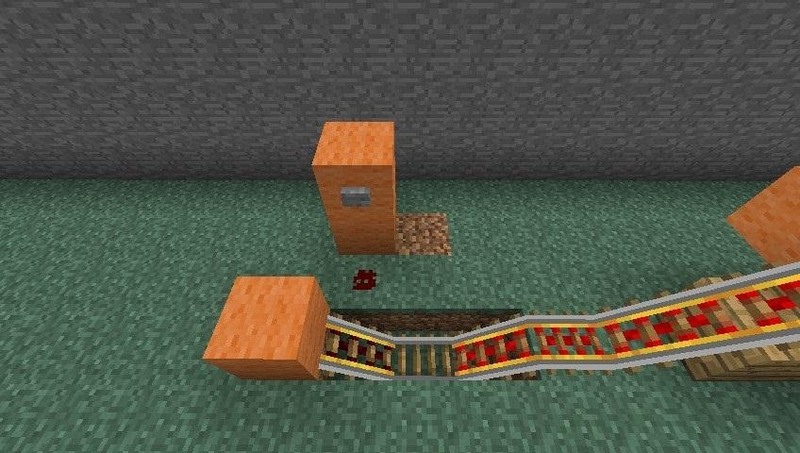 Minecart stations can become extremely complicated, with switches that will change tracks, and sensors that detect whether carts are occupied. However, these simple designs will get your carts rolling and do away with having to push your carts around or try to catch them as they roll away. If you have a more complicated design, consider making your own tutorial to show us how it's done! One day, I will have to recreate my station on this server....I had north/south tracks, two jumping on points, and a section underneath to control weather or not people could stop at said station.